You must make reservations at least 5 minutes in advance of the time at Varia. 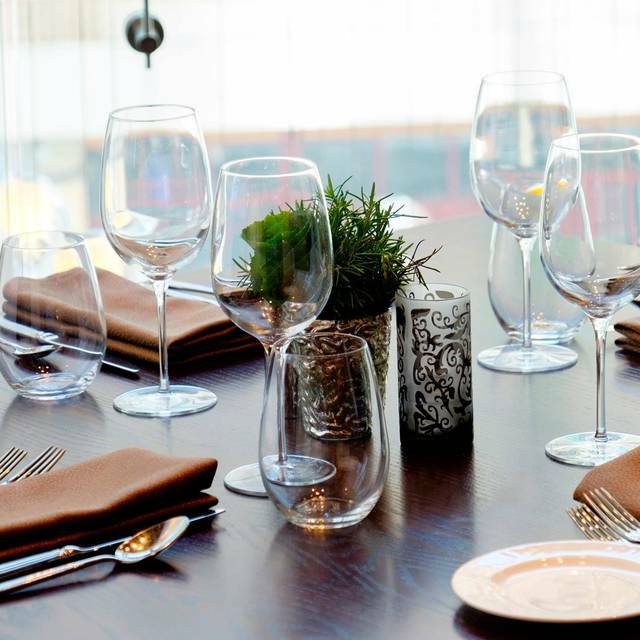 Welcome to Varia, a Romantic, Upscale Italian Restaurant in Norfolk. Varia, our Italian restaurant and wine studio, features wine by the glass and a pianist six nights a week. Indulge in homemade pasta, freshly tossed pizzas from our brick oven, or signature Italian desserts like the tiramisu. 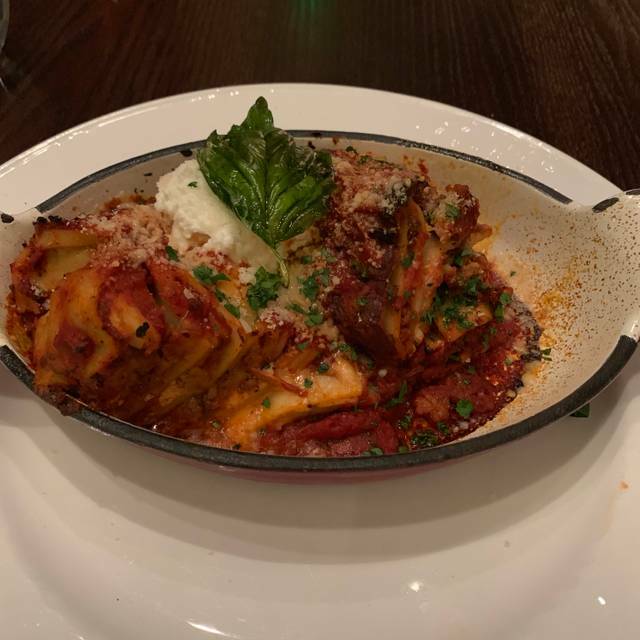 Varia's modern Italian fare is made from only the best local ingredients and the wine studio features over 100 hand-selected wines, including 50 by the glass. The dining room's intricate finishes and the warm glow of its reclaimed chandelier, formally of the Historic Cavalier's ballroom, offers an intimate ambiance that invites conversation over a full bodied merlot. Guests can book the ultra private dining room only accessible by hidden doors in the bookshelves for special events. 35 mins before we had our drinks, 45 before we had bread and salads. Sad this restaurant has more people removing your used dinnerware than actually wait staff and kitchen help. Food was bland, none of our dishes had a true chef level taste and sauces were lacking overall. Drinks were exceptional and pistachio brûlée yummy. King crab entree at $32 was a complete miss. Will not return. Our waiter was not very polished. Someone else served Parmesan cheese to a nearby table and served it from the plastic container from the kitchen. Salads were very forgettable and the king crab pasta needed a sauce. However my scallop dish was outstanding. The food was very well prepared and our waiter, Zack, was attentive without being overbearing. We thoroughly enjoyed the fig salad, scallops with risotto, chicken parmesan, and tiramisu cheesecake. We dined early and the restaurant was quiet. We would recommend it to friends and would definitely go back again. A bistro like atmosphere with open kitchen and piano player/singer in the background. Service is excellent and the manager is outstanding - very hands on and personable. The piano player/singer could have been a bit less loud, as sound carries quite well in the restaurant. Food is good Italian and plentiful. Service was poor. Main entree was presented only half prepared. Wine list weak. The atmosphere was great, but that’s it. The service wasn’t good. Our server was slow taking our order and coming to our table in general. My husband’s glass was empty too many times. And, the food wasn’t good. I had the shrimp scampi, which wasn’t very filling, and my husband had the chicken Parmesan. He didn’t care for it at all, and the pasta that accompanied it wasn’t good. 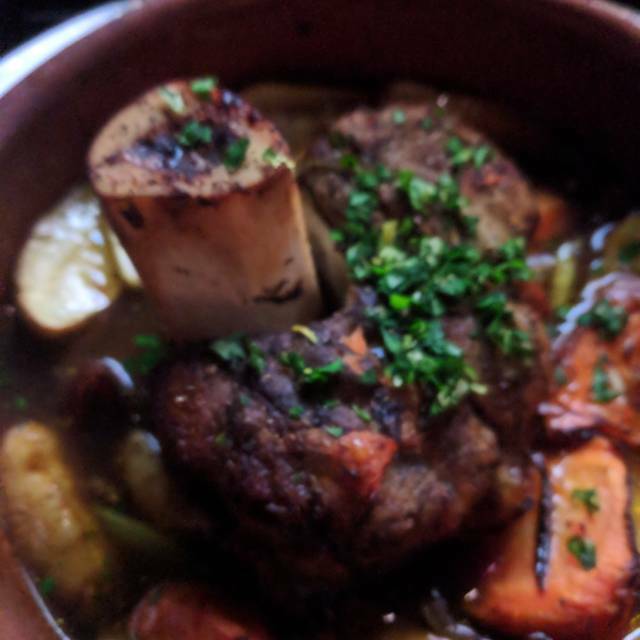 We dined there for our 12 year anniversary, and we were hoping for a better experience and possibly a new go-to place. But, this wasn’t it. It missed the mark on SO many levels. I don’t mind paying more for good, quality food and service. But, I definitely feel like we overpaid for the food and the service. It wasn’t a good experience. It was very good. I really enjoyed my cocktail. The server was awesome, and the food was good, but next time i'll try the chicken parmesan. Awesome service, food and ambiance! Great place for after-work, special occasions, etc. The live entertainment was breathtaking and so much fun. We will definitely be back!!! I cane looking for and ordered the lasagna. Later told the Lasagna qas not available and this was our 36th wedding Anniversary. The veal parmesan was good but it wasn't the lasagna. Great service. The ambiance is lovely and we had a table in a back corner which helped keep the noise level down. The menu was varied enough to satisfy 5 of us and the staff was very accommodating when we had to increase the number in our party. The one problem we had was with my tomato allergy, which I failed to mention to the waiter. (completely my fault) But the pasta dish I ordered- orechete with seasonal vegetables- had no mention of tomato in its description. When it arrived it was covered in a red sauce. I told him about my allergy, expressed my surprise that the dish came with a red sauce- I would expect an alfredo or white wine based sauce. The waiter was apologetic, took it back to the kitchen, and returned about 15 minutes later with the same dish, covered in a cream sauce. But, it had TOMATOES in it. They were fresh chunks, I could pick them out, but really? I wasn't charged for the first dish, and the serving was generous enough that I had leftovers. It was very tasty. I would go back to Varia, but would pay more attention when I was ordering. Wonderful service and staff. Food was fabulous. Looking forward to going back. Wonderful food, service and atmosphere. Food is very reasonably priced and our meal was delicious. Great dinner. Glazed salmon special was delicious! Loved the whole experience. Very romantic! The piano player and singer were perfect for dining. The food was delicious. We especially enjoyed the stuffed fig appetizer. The dinner portions were so large that we never even thought about ordering dessert! What an amazing Restaurant! Downtown Norfolk just seconds from the water front. What more could you ask for? Its Modern Architectural design is among my top 3 favorite restaurants. Piano player every day of the week and Wine Tasting on Thursdays! 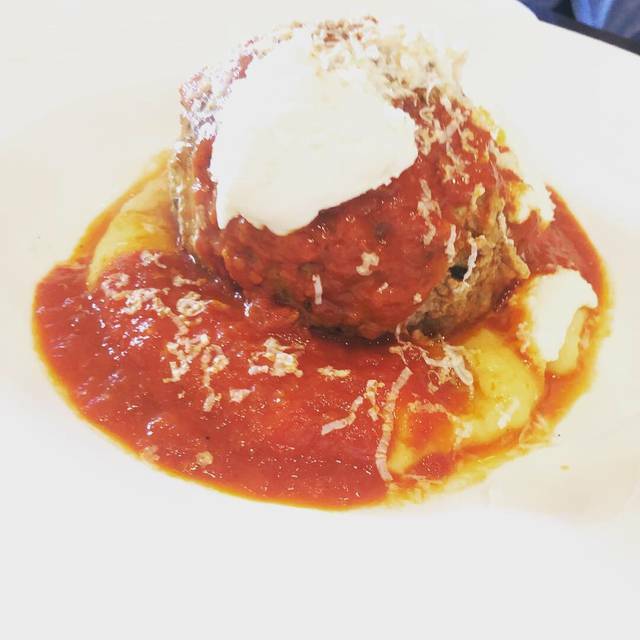 Come out and try this lovely Italian Restaurant located inside the Breathtaking Hilton Hotel. based on how much we spent and the poor service. Its hard to recommend this place to anybody. You don't spend that much money and get a very moody server. Rushed service, unwillingness to answer questions. Not a great date experience. 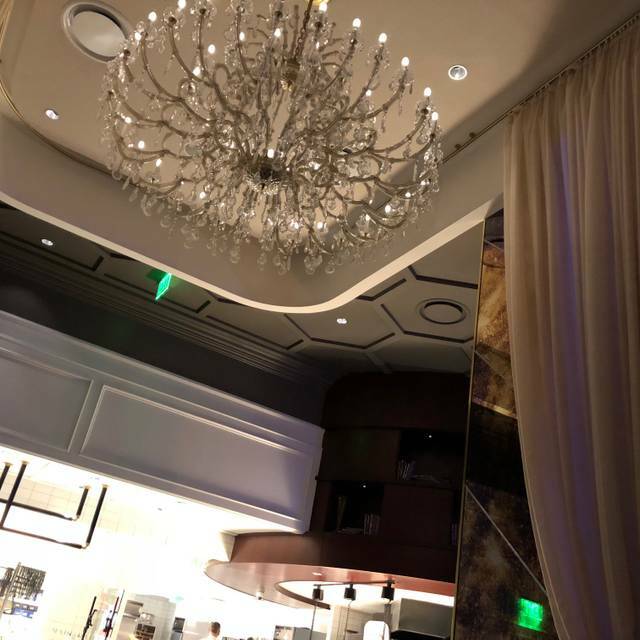 Aria’s decor and ambiance are beautiful, however, we can’t say the same thing about the food. When we first got there, we noticed that the woman sitting next to us had left her food almost untocuhed. After chatting a bit, we learned that she and her husband had been there for the first time too and were very disappointed with the food. After I ordered my meal, I was so disappointed that I had no choice but to send it back. I then ordered something else only to find out that it was not much better than the first one I ordered and my husbands’s meal was not any better either. So disappointing. 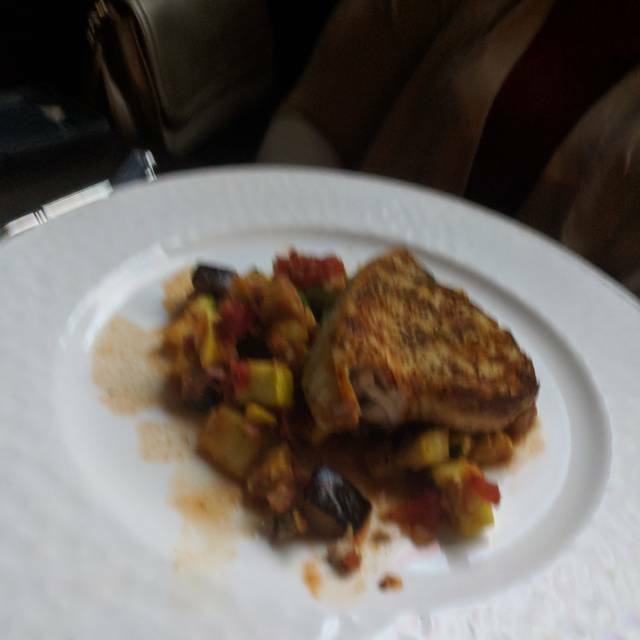 We don’t mind paying for $25 - $30 plates for excellent food, but to spend my money for a less than mediocre food and service, it is just ridiculous. While we are locals, we have travelled quite a bit and have experienced what gourmet and excellent food taste like; Varia can get away with providing poor quality food and charging gourmet prices around other locals and those who have no idea what real quality food is taste like, but never with individuals who have travelled, are used to eating first class, quality food and are used to receiving top notch serviced from well trained staff. 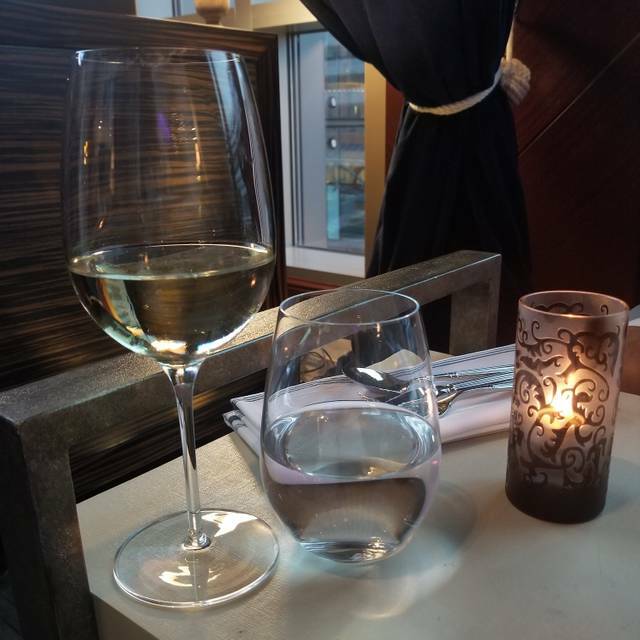 I would only recommend Varia for wine or happy hour, but never for dinner. Love the food and decor. Service was subpar. The server was nice, but not very attentive. She did not refill our water glasses, and she didn’t seem to have a strong sense of urgency. Our check was wrong, but she was polite and gladly fixed it. The food was good. It was absolutely perfect for the occasion! The food and ambiance were both amazing. Will definitely be back ! I booked my reservation online, and noted that I was taking my wife out for her birthday. I also noted that we were going out with friends that were celebrating their wedding anniversary. I was a bit taken back that at no time did anyone ask who was celebrating their birthday and anniversary. 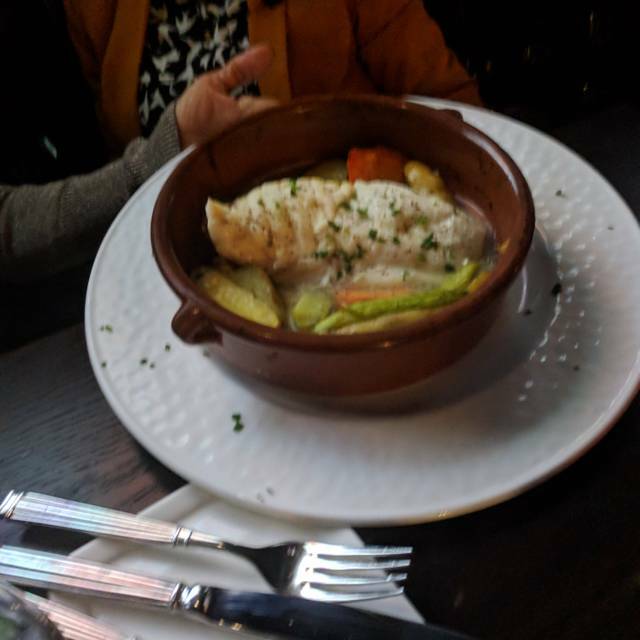 Also, my friend and I ordered the same entree, and when it came out, the portion sizes were very off - one portion was almost double the size of the other one! Lastly, one of the ladies found a piece of metal in her food - it looked to be a piece of a scouring pad used in commercial kitchens to clean with. The ambiance was not what I was expecting, and the noise level made it hard to have a conversation. I dont appreciate a place that feels like you have put the food in the middle of a huge plate, when the size of the meal, would be more presentable on a regular size plate. The size of the plate does not mean you have great food and you can charge more for it. My wife's scallops were wonderful. Her meal was what I should have ordered. The chicken meal I ordered had no real flavor and the asparagus was burnt. The piano player was talented, but the noise level made it difficult to enjoy her. We were there to celebrate my wife's birthday. But they didn't even acknowledge that. It was mentioned in the reservation. When I spend over a hundred for a meal for the two of us, I expect a better experience. Love this restaurant! It has such an upscale city feel. We went light on our dinner, soup and meatball appetizer and split a pizza. All was delicious! We will be returning! Elegant restaurant and superb dining experience. Beautiful Hotel. Showed up on a Monday. Place was busy but still felt private. The handmade pizza was authentic and the flavors well balanced. Service was exceptional. Bottle wine prices were reasonable and the selection was well thought out. Something for everyone at every price point. Well done! Poor service. Our server was nice, however there were significant delays in each portion of our meal. She was unable to tell us the specials, instead went to get the tablet (another 5 minutes) We ordered a bottle of white wine (which sat on our table all night and was never put on ice) and would have purchased another if we ever saw our waitress. It was at 12 minute delay from getting the dessert menu to her checking back for the order, plus another 10 min after desert was finished to then ask for the check and another wait until the check came. We spent over 2 hours at the restaurant, and felt like the majority was spent waiting on our server. Our server was very friendly, attentive, and knowledgeable. The ambiance with the live piano music was excellent, and the place was managed very well. We loved the look and feel in Varia. The food was good, but service was a little slow. Service was excellent, food was great and decor is lovely. It was lit. Best service out here. Shout out the server with the dreads she held me down. Will be returning. Food was decent but nothing out of this world. We enjoyed the ambiance as it reminded us of something you would find in a larger city like New York or Philadelphia. Sadly the service and food didn’t match the ambiance. The staff was excellent and the service was excellent. The staff accommodated my wife and I with a special order as we were celebrating our anniversary at the hotel. I have nothing but rave reviews for Varia!!!! Fantastic food but several service issues made the dinner less than stellar. Started with a problem of the reservation which had been increased to 6 (confirmed) not being updated in their system so no table was available. They nicely comped a glass of wine for all but we did not get seated for 1 1/2 hours. Ordered but entrees took another hour to be served. Despite this the food was outstanding. The sauce for the Fruit de Marr was incredible and Marghareta pizza just wonderful. Deserts outstanding also. We loved the many wine by glass options and the ambiance is first class. I will give Varia another try. The restaurant itself is gorgeous, however the seating could be improved. We were seated on a tufted wraparound bench that was great to look at but obnoxiously uncomfortable. Our server left much to be desired. She didn’t know the specials, didn’t take extra dishes and wine glasses off the table and was not attentive. Having recently been downstairs to Saltine where the service was completely on point- this was surprising. 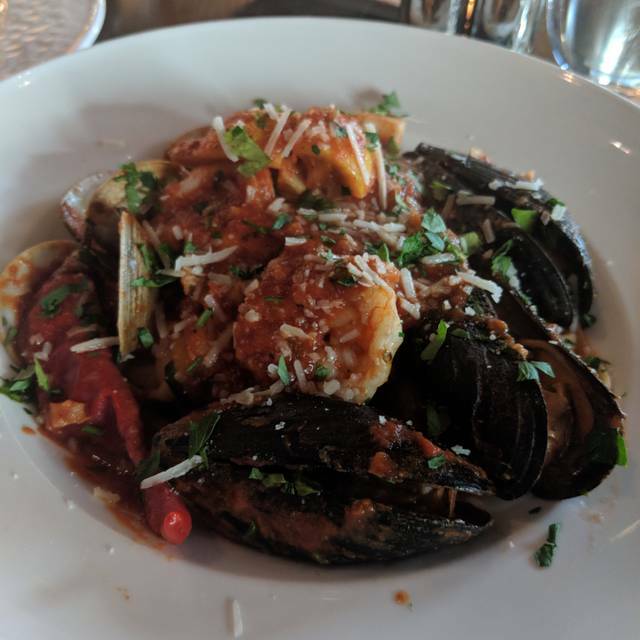 The food was good, particularly the scallops and chicken parm. The pastas were just ok. All in all, I don’t think we will be back for awhile. Great evening in a pleasant environment. Terrific quality meal. We traveled from San Antonio and met with our son and daughter-in-law for a special evening together. Our busy professional lives make those rare events indeed. We couldn’t have asked for a better meal, choice of wines or setting. It was a little loud but not so much as to have affected our conversations. Overall,...the meal was a great success.